Pet birds need fresh food for their daily vitamins. This dish contains everything that you need to grow your own bird graΒ: a mineral substrate (vermiculite*) stores water which is then slowly released, providing a constant source of water for the little germinating plants. Just add water and within a few days you will have a dish full of tender green shoots. The dish can be placed in the included bracket and mounted in the cage so your bird can help itself to fresh food whenever it feels like it. 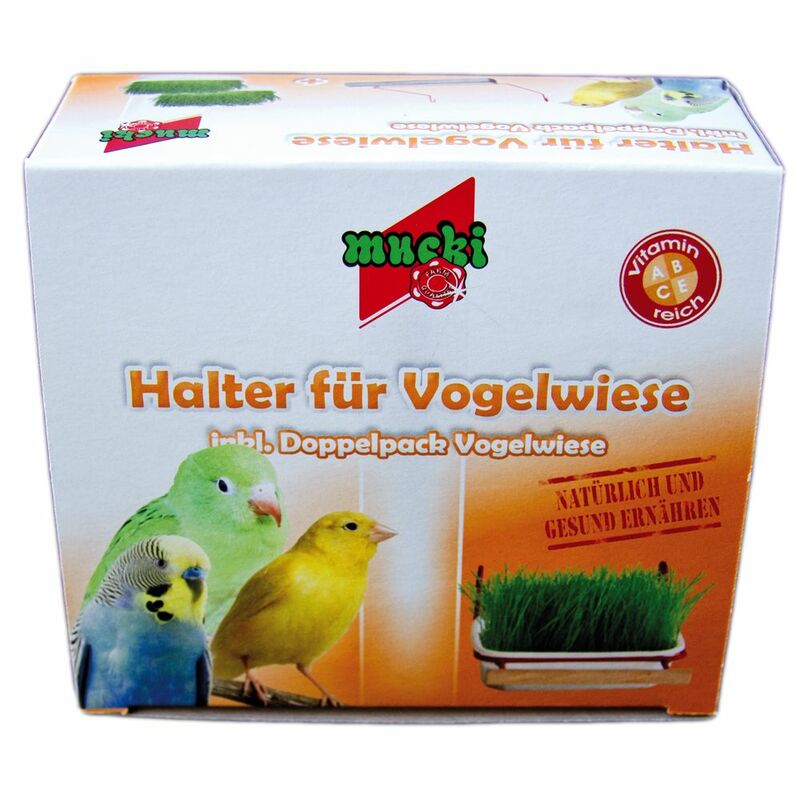 Mucki Bird GraΒ is a supplementary feed. Bracket: 10 x 13 cm Dish: 10 x 8 x 3 cm *Vermiculite is a water retentive, non-toxic and virtually mould-free mineral clay. Price just £3.99! Click here to buy now!